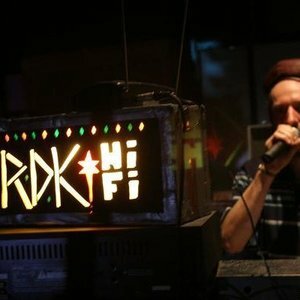 Dan I, born in the north of Italy at the foot of the Alps in 1981, is the singer and producer of Imperial Sound Army, founded in 2000 and Imperial Roots Records, founded in 2005. 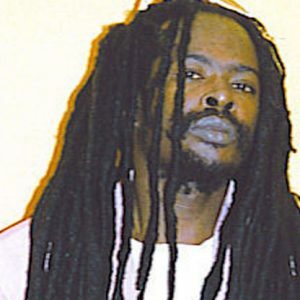 His first release “Jah command” was released on the Italian Label Moa Anbessa in 2005, since then he has worked together with the most prolific sound systems, labels and producers from allover Europe. Today Dan records for some of the earliest uk dub producers such as Jah Free, Alpha and Omega, Jonah Dan .. and he works live on the mic alongside a good number of sounds & selectors such as the mighty King Shiloh Sound System……since the end of 2013 he also plays on his own 30kw hand made Sound System along with a various number of honorable guests.. firing sessions absolutely not to be missed!! Imperial sound members: Dawit, Violinbwoy, Jonah Dan, Sammy Dreadlocks, bro Gabriel, Fikir Amlak, Dan I. Blessed love. I got to know reggae music from a cassette that my father gave me, Legend, when I was twelve years old. I was in junior high. I fell in love for the sound, I really liked it and I listenedto it very often, even when I was in the shower. At that time, I also started playing the guitar and singing. Gradually, I also started to be interested in the lyrics and in the content of the songs. I bought a book with Marley’s lyrics translated into Italian, and from this book I started to understand the core of what Marley wanted to express, the message of Rastafari. I started to also compare Marley’s lyrics with scores, trying to understand more of the matter, and in the meanwhile I kept playing the guitar and singing. At that time, I was engaged in a social centre, the only place in my town where there was a culture of alternative music, and there I met Paul Roccia, a DJ and a dear friend of mine. 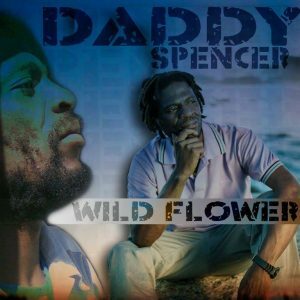 He has played, organised and promoted concerts for twenty years: he organised some of the first reggae events in our region. With him, I listened to reggae music, I went to the places where he played and it was with him that I first played records in a club. At this time, I started selecting music and buying the first 45 rpm records. I was about thirteen of fourteen years old. My first contact with a homebuilt Sound System has been in Italy. We are talking of about the end of the 90s. There were these Sound Systems of Rome. Once I went to one of the RAS Sound Systems’ gatherings at the Villaggio Globale, a social centre of Rome. I went as a singer, I was already singing at that time with a band. I went there with my brother Miky Gad, who is a veteran of the Sound Systems: he begun going to London in the mid-90s and he took the first dub records there: they were the first dub records that arrived in Italy. Well, I went to the gathering with him, and I saw the first homebuilt speakers there. To be honest, I was not thrilled so much, because I came from a band, and when you play in a band, everything must be perfect. Singing on a stage is something that you should be precise with, with the volume not so exaggerated. The basses were very powerful there, but the quality was not so good. Music was very good but there were these medium and high frequencies that made your ears bleed. It did not thrill me so much. The real shock came when I went to London to meet the person who, afterwards, became our distributor; we are talking about 15 years ago more or less, in the early 2000. I went to the “University of DUB“, and there I was really impressed by the quality of the sound and of the show they presented. It was completely different from anything I had seen before. I was struck by the power and the depth of the message that came through that sound; it was “shocking.” As a Rastaman, for me, that was the best way to express our ideas. So, from that day, it became a priority for me to try to contribute to the specific form of expression represented by the Sound Systems. Besides, the band I played with was not as active as it used to be, so I concentrated myself on productions and studio recordings for Sound Systems, and so what I did was more dub, compared to the roots that we did before. Moreover, since I composed music with a computer, it was easier for me to make new digital productions than to re-arrange the material that we played with the band. 3: reggae in the 80’s and the original sound system in london – , can you tell us about your memories..
right way to express what we want to do. From the mid-90s until 2004 and 2005, I still played with the band quite a lot. We were good and we were doing the first concerts abroad. However, that was the moment when we should have done a qualitative leap and taken our chances: some of us had a job while others were still in school, we should have worked hard but that would have meant to risk everything and not everyone could make that choice. Then, when I tried to re-arrange the work we had done with the band, I realized it was very difficult for me. First of all, I did not have enough technical knowledge: I had always played live and it was very hard to recreate that roots sound in studio. In that period we were influenced by Jamaican roots bands like Culture, Burning Spear, Congos, Gladiators, Abyssinans, Twinckle Brothers, Misty in Roots: incredible Rasta bands, with powerful messages. Then, in London, I heard those Sound Systems and, while always trying to rearrange the band’s material, I became more and more interested in digital tools. I went to Jamaica for a while, but at that time, I was getting tired of Jamaica because the Jamaican music of those years was always pretty much the same and the singers imitated each other. I have always liked originality, even in traditional music. So, we opted for the London UK Dub productions, which had a more electronic style, but with a powerful message and a content as important as before. 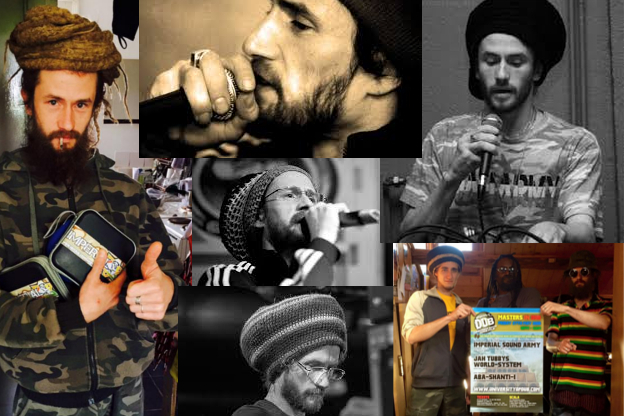 From there came Jah Shaka, Twinckle Brothers, Dany Reed , Conscious Sound, Vibronics… Shaka is definitely the artist who has influenced us more deeply, in terms of vibes, energy, karma and everything. Aba Shanti, Iration Steppa, these pioneer sounds have inspired us and helped us understand how we could organise things. Rastafari is everything. It is the beginning and end of every good purpose. It is everything of the good in us and it is what we seek to communicate with the people that we interact with, with or without music. It is something that influences our daily life, and it expands itself on everything that one does and, naturally, also on music. In fact, I think it is spirituality that governs this music: spirituality is what inspires lyrics, chords and atmosphere. Because the music of Rasta is inspired by His Imperial Majesty, for us this is the core of reggae music. This is what is important in reggae music, for whatever style proposed. What matters is the substance. It must reflect its roots and the intention that conceives it, which is first of all an expression of a spiritual value. Then, it must be linked to a pan-African tradition, a movement of black people who want to come back to their homeland, but through a spiritual redemption. It is above all a spiritual concept, and its substance is spiritual. I am not talking about a political movement; I am not talking of what is often the idea of reggae today, unfortunately. Because what happens is that, often, the idea is of a revolutionary message, almost political, and many revolutionary movements have appropriate this message. But it is not just rebellion: it is rebellion for the right purpose, and the right purpose is a spiritual one. The relationship between God and the human being: that is the ground on which we stand, on which the message of reggae and dub music is built. than the Jamaican. Among the new talents, the ones that occur to me now are Jah9 and Cronix. I am confident; I hope that they will keep creating without selling themselves out and that they will give an important contribution to the scene and the great family of reggae. I think that in Italy we are not on the right way. Talking about Sound Systems, in the last ten years or more, all the important events have been organised by inviting big foreign names, like Shaka or Aba Shanti. In Italy we have not abandoned the habit of creating events around guests, and that, in my opinion, has penalised the Sound Systems that organised these events, because they have not had the opportunity to develop their own identity. After ten years, a veteran Sound System should have its own strong identity and many followers. It should not need to invite someone else at every event fearing that otherwise nobody would come to that event. My opinion is that this attitude have strongly penalised artists, Sound Systems and local talents in Italy. Working every day and all the year round, I have always thought that Italy would not be enough for us and for our work. As a Sound System, we travel a lot and we often play abroad, but it is difficult in Italy. People in Italy are still used to going to events where there are foreign guests. After ten to fifteen years they still have not realized that there are good artists worth to be seen in Italy, with a lot of experience. If the events keep being centred every time around on the guests, well, this is not the right path. You cannot make a living out of it. It is difficult. I hope that the desire to focus on quality is not misinterpreted, both by artists and by the audience, as a brag or as a desire to be better than others. We created our sound two years ago. We started playing it, and in two years, we have played at countless events. People like our sound, because it is strong and good, and people like quality. We are giving our lives for that. We are putting all our energies into this project, and my hope is that our effort can stimulate other people with talent to do something. But they do not believe enough in their talents to start doing something and enrich our scene. Because, in the end, the most important thing is the scene: we believe that the concept of scene is far more important than the single artist and his promotion. Little or big, rising or hidden, each one of us contributes to the scene, either in a positive way or in a negative way. If all of us understood that we all belong to the same scene, because, whether singing, producing or playing, we are all contributing to the scene and giving something, then everything would be different. In my opinion, that is the way to go if we want to do something serious, to change the history. 8: reggae in the europe ..sound system culture in Uk, France, Italy and Spain this the future? it. So there must be also an economic part in the project. However, it should not be the first thing to concentrate on, as what is happening in many places. It is always the same principle: if one loses sight of the goal, if all it remains is just the surface, then all you have is that surface, which is the sonority. Then, in that sonority you put whatever concept you like and you think that will make you earn money. You can make it more dubstep or more techno and less roots. But then, the core of reggae and the values are lost and what remains is the money. That mentality exists in many places. We can say that once it was a much more conscious scene, and more Rasta, so the focus and the will were different.(??) Now there are people who almost insist on playing. Because, clearly, it is not just the music of Rasta anymore, and I think it is good thing, it is very good, because music has opened itself. But one must not get to the point of complete change of the contents, saying things that are absolutely insane, like talking about drugs or substances that have nothing to do with ganja, with the roots. It is true that you can find places in the yards where they listen to reggae, because that is their music, and they also smoke crack, but that is something different from what I am saying. I am talking about subcultures that appropriate a music that is not just music: it is also something else. Reggae uses music as a way to communicate deep messages. It is something like a Maori tattoo. You cannot make yourself a Maori tattoo just for aesthetic reasons, just because you like how it looks. Maori people do not care if you like it or not, you are just appropriating a culture, which has a completely different meaning. This is how I see it. However, I think the commercial side of reggae will not win. No, I am sure about it. Because reggae is God’s music, it is a powerful music, and, above all, it is a music played by God Himself!!! !